Have you ever been in a relationship situation where you've said the WRONG thing to someone and you wished you could have immediately taken back what you said because of all the problems it caused? Have you ever just not known what to say to someone to make a situation work out and you just kept quiet because you didn't want to cause problems by saying the wrong thing or saying something that could be taken the wrong way? Have you ever wished that you knew what to say to your partner or spouse before you said something that would cause the two of you to become disconnected or even more distant? Have you ever struggled to find the right words to say to your partner to explain yourself and your feelings? Have you ever caused a fight with your partner, spouse or lover and you don't even know how? Have you ever wanted to feel more understood by the people closest to you in your life? If you answered YES to any of the above questions, you are not alone. Being able to say the right words in the right way is something everyone wants but is not always easy. Being able to use the right words at the right time so you can speak the truth openly and honestly in a relationship, along with wanting to feel heard, understood and appreciated are some of the biggest challenges that most people face in relationships today. Saying the wrong thing to someone (sometimes even the smallest thing) can absolutely wreck a relationship. This is why using what we call "magic words" is so important in creating a close, connected, vital and alive relationship. How Can You Use "Magic Relationship Words" in Your Communication to Create Closer Connections with Your Partner, Spouse or Lover? If you're not getting the love, passion, intimacy or depth of connection that you want--the biggest reason is because of the words you use and how you use them when you communicate with your partner, spouse or lover. Use the wrong words in the wrong way and what you get is relationship disaster. Use the right words in the right way and it's almost like waving a magic wand because what you get is "magic." That's why we call these words "magic" because when you use them they can work like "magic" to open both you and your partner's hearts, create more love, more connection, more intimacy and more of whatever you want in your relationship. These words can make the difference between whether you feel loved, cared for and connected or you feel alone, separated, distant and disconnected from your partner, mate or lover. 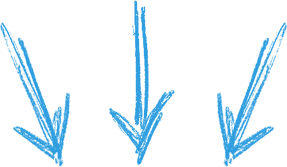 Long before we started writing books, doing seminars, creating programs and working with people, like you in our Relationship Breakthrough coaching practice--and prior to our relationship together--we had both come out of long-term marriages. 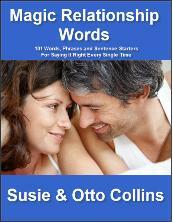 Susie was married to someone else for 30 years and Otto's prior marriage lasted 15 years. During that time and in those previous relationships, we both made every conceivable communication mistake you could make. Saying the wrong thing at the wrong times and doing a poor job of communicating certainly wasn't the only reason those marriages didn't last but putting our "foot in our mouths," using the wrong words or saying the wrong thing to our partners certainly contributed to those relationships ending. Otto specifically remembers on quite a few occasions, late at night sitting in the basement of the apartment he lived in with his ex, trying to figure out the right words to say to get her to tell him what she was thinking, feeling and why she seemed so distant to him. In Susie's situation--she and her first husband seemed to just go along living separate lives together until it was clear that the relationship was over. Communication was civil but frustrating. Susie can recall many occasions where she felt like she was emotionally "clawing" at him so he'd reveal what he was feeling--but never to her satisfaction. During the first part of our relationship, our bond and connection was so strong and it felt so good being together that we essentially ignored the fact that we had lousy communication skills when it came to intimate relationships. We were relying on pure magnetism and attraction to make our relationship work. In hindsight, we have to admit this part of our lives was pretty exciting. We'd work all day and make love all night--and like most people in relationships, we figured out that we couldn't do this forever. When the "honeymoon" period of our relationship started coming to a close, we realized that it was going to require more than just magnetism and attraction if we were going to make it for the long-haul. We somehow intuitively knew that if we didn't learn the secrets to communicating with each other, even though our connection and attraction was strong, we probably wouldn't make it either. We knew we had to do something and that's when we started studying everything we could get our hands on about relationships. 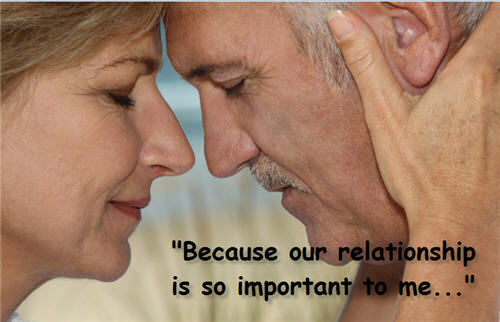 We read books, listened to audio programs, attended seminars, got coaching, and found mentors--and as a result of our desire to keep our relationship strong, healthy, vibrant, alive and connected...we learned thousands of relationship ideas and started practicing them. The words we use when we talk to one another matter. In fact, another thing we discovered was when we felt really close and connected, supported, appreciated, loved and important-- there were certain things we would say to each other (in certain ways we might add) that would help us feel even more connected. So we started doing more of it. We started noticing these words that worked for us so well and then we started using them more intentionally and our relationship began to blossom and grow even more. We learned that if you use the right words in the right way, you'll want to let your old ways of communicating just fade away because this changes everything in your relationship for the better. It wasn't all that long ago that we were thinking about these words we use that work so well for us in our relationship that we decided to compile a list of them and offer the list to you and anyone else who wants them and show you how to best use them. Shirley is worried about her partner Jay’s drinking. It seems to Shirley that Jay turns to alcohol whenever he gets stressed out or feels upset about something. This is not a healthy habit, but it’s even worse because just about every time Jay drinks, the two of them get into a huge fight. They don’t normally argue so Shirley often knows when Jay’s been drinking because he starts yelling at her about even minor issues. This usually sparks Shirley’s anger and she begins yelling along with him. She wants to talk with Jay about his drinking and ask him to consider seeing an abuse counselor but is fearful that it will turn into another argument. Shirley reads some websites that recommend ways of talking with your partner about his or her alcohol abuse and decides that it’s time to really be honest with Jay. Starting her words to him with the phrase “Because our relationship is so important to me…” sets the framework for his being open to what else she has to say and she continues on by sharing with Jay how she feels when he drinks and arguments erupt between them–and that she believes it’s time for him to get help. Can one single phrase change the entire course of your relationship? The answer is unequivocally YES! We can't encourage you enough to memorize and use that one simple sentence for the sake of yourself and for your loved ones right now. We have over 100 more words, phrases and sentence-starters (just as powerful as this one) that we'd also like to share with you. There's no way to express how grateful I am that I found your assistance in my recently discovered need to become reconnected with my wife, Mary. Things have a way of happening to us that we cannot believe would ever be happening. My discovery came as a result of a medical situation for Mary that caused a momentary thought that I might not have her in my life tomorrow. That thought triggered a change in my entire outlook on our relationship. Until that moment, the word relationship had very little import to me. Then with the new outlook in my heart, valuable resources like your book and news letters began to come into my view and I have been digesting and studying more than I have since my school years. I worried for a bit that Mary might think I had gone off the deep end since my attention to her and our "relationship" had made such an abrupt change ( Reverse ! ). Having read about the mistakes we men make, ( I responded "oh no" to all ten ), I had to wonder how it is that Mary still loves me. The "Magic Relationship Words" are a totally awesome collection of thoughtful and logical words to wrap a thought into that conveys the feeling that the message is coming from a loving place. Just to be certain that my new focus on our relationship wasn't causing Mary any worries about my mental health, I asked her best friend if Mary had mentioned anything about my recent relationship actions with her. The friend responded, "Yes ! ", with a smile. Then I asked her if Mary was pleased.... and got another "Yes !". I told Mary about the two question conversation an hour later after we we alone again and expressed to her how very happy and grateful that it had made me to know that she was accepting that my "change" is a genuine love based intention. Thank you both for the gifts you have shared to help our relationship. Mary and I have had a "good" 41 year marriage, and now I know we will have a GREAT marriage everyday from here on. During this Thanksgiving week, I simply want to thank you from the bottom of my heart. I'm discovering how valuable these magic words are for any relationship (above and beyond the primary relationship)- and I'm handling a highly sensitive family trauma - which needs all the love, patience and wisdom in the world to work-through - and I'm adapting the magic words according to need to help support this delicate, difficult navigation. I love how the workbook creates a sense of emotional space and reflection literally by including space for exercises - in itself helping to decompress 'tightness' and 'fear' and open-up heartfelt, authentic connection even where extremely deep differences, perceptions and experiences may exist. Susie and Otto, thanks for creating and sharing this - part of your invaluable gift of service to the path of truly authentic human relating. I have really enjoyed not only the Magic Relationship Words book, but also the mini course. The series and book helped me think about how my words and attitudes could be perceived or misconstrued by my partner, and how to more effectively communicate how I'm feeling or what I'm thinking without making the situation worse. I'm generally considered to be a kind, considerate person but this is a new relationship and I'm still learning his triggers and communication style. Your products really helped me put myself in his shoes in a more productive way. Thanks a lot for the help! I downloaded your 'Magic Words' ebook and got two audios a couple days ago. Honestly, this material is terrific. I'm 60 yrs old and have been single for 27 years. I've worked on myself a lot but now that I finally have a really good man, I've noticed my inner thinking and some outer reactions that really have nothing to do with him. Your material is really helping me clarify and take responsibility for my own 'stuff' so I won't destroy what we are building. Thank you so much for what you do! You do it very well, too. I downloaded it In the morning and by lunch I was using it on a call with a very dear friend. I highly recommend this. Just writing to give some feed back about your books and the information and advice I've taken out of them so far from what I've read. I'm nearly 21 yrs of age and at different stages of my life have struggled to communicate with people and I've always wondered why even when I've had the best intentions when talking to people, I've upset them or made things worse. After reading the books what not to say it came clear that I use a lot of the language that you recommend not to use and since I've started to make a real effort to how I talk to people and how I express myself, I've noticed a huge difference in the response I get out of the people I'm talking to. I haven't read everything but I'm slowly getting through a lot of it and I personally feel it's great stuff. I truly think if I make a real effort in the future with putting what I learn into action, I believe it will help me with my relationships between the every day people I mix with. Thanks guys. It's great to learn new things and I'm a great believer of having an open mind and trying new things to always be a better person. You guys have helped me a great deal so far and I have enjoyed what I have read so far. 2 instantly downloadable audios about how to use ONLY the words that build trust in your relationship or marriage. Part 1: The "Magic Words Mindset"
The mindset you'll want to adopt when you communicate with your partner and any other important person in your life. *Attitudes you're going to need to know to make sure all the other parts of you are congruent with the new words you're going to be using. 1. The magic word, phrase or sentence. 3. An example of these words in action. These examples provide a context for how someone else has used these words to create more closeness and connection in his or her relationship and life so you can get an idea about how you might apply them to your situation. Because this is a downloadable book, you'll get access to this book instantly and you can either read it from your computer or other device screen or you can choose to print it out and read it away from your device. You'll love the short format "Magic Relationship Words" because it makes it easy to read it from cover to cover or just open the book each day and choose one of the magic words at random to practice during that day. The key is to try them out and practice them. 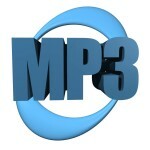 These two mp3 audios are about 90 minutes total and are NOT recordings of us reading the "Magic Relationship Words" book. These recordings are additional info that expands on what we teach in the main book and on these two audio recordings we focus on the "magic words" that build and rebuild trust in a relationship or marriage--and that's something we could all use more of. Audio #1: "Magic Relationship Words That Build or Rebuild Trust"
You'll get not only specific words and phrases to say to your partner but also words and phrases to say to yourself to help you change your internal "self-talk" to get you in the "right" mindset to communicate with your partner. Audio #2: Susie & Otto answering specific questions from real people about magic words that build trust. If you or your partner have any challenges at all in communicating your thoughts, feelings or emotions to each other, then this "Magic Relationship Words" book and audio program is for you. If you'd like to know the exact words and phrases to say to your partner, spouse or lover so that you never stumble over finding the right words to say to them, then this book and audio program is for you. If you would like to know how to communicate your needs to your partner and be able to understand their needs without conflict, then this book and audio program is for you. If you've ever wished you had the right words to say at any time (now or in the past) to be able to speak your truth and be honest and authentic without holding back --then this is for you. If you are willing to invest a little bit of time, effort and energy into learning some new skills, ideas and techniques that will dramatically improve the quality of your communication and instantly create breakthroughs in your relationship or marriage -- then this program is for you. If you have even an ounce of desire to heal the communication issues and challenges that come up for you in your relationship or marriage, we sincerely believe this program can change your life. ...you are unwilling to give it one more try, then you should probably pass on this info and not bother downloading it. This program is for people who want more love and a better relationship and are willing to try some new ways of talking to and communicating with your partner in order to get it. What Do You Want For Your Relationship? If you've read this far on this web page, we're thinking that you're someone who really is interested in more from your relationships than you have right now and you're willing to be open to some new ideas to create something better. Download our complete "Magic Relationship Words" program now and start going through the information right away. This book and audio program gives you over 100 amazing words, phrases and sentence-starters that will help you say it right every time when you are communicating in your most important relationships. This is the ONLY program of its kind where you get the exact words and phrases to say--along with clear instructions on how to best say them. This will be like having us whispering in your ear and coaching you on the right things to say when it counts the most. Now is the perfect time to take advantage of the fact that we've spent hours, days and weeks putting together the best collection of "magic words" you'll find anywhere along with easy instructions on how to use them and apply them in your relationship and life. Your satisfaction is assured through our no risk, you-can’t-lose, 100%, no-questions-asked money-back guarantee. If for any reason, you aren’t completely satisfied with your purchase, just let us know within 60 days and we’ll refund 100% of your purchase price. Bonus #1 -- "21 Words, Phrases and Sentences to NEVER Say To Your Partner, Spouse or Lover"
When you get our "Magic Relationship Words" book and audio program, we're giving you over 100 words, phrases and sentence-starters to say to your partner to make your communication really flow and feel effortless and help you make sure you say the right words every time. Here, you'll get a list of 21 of our top words and things to NOT say to your partner if you want to have a close and connected relationship filled with love, respect and kindness. Bonus #2--"10 Communication Mistakes Most People Make In Their Relationships and What They Can Do To Fix Them"
This special report by Susie and Otto contains the master keys on how to start improving communication now with everyone in your life. This 21 page downloadable special report is in pdf format. Bonus #3--"Susie and Otto Collins' Love and Relationship Newsletter"
This free weekly email newsletter is filled with practical tips and ideas about how to create better communication, more spark and a deeper connection. You may unsubscribe at any time. You'll also receive free information about how to create better communication in your relationship. Warning: This "Magic Relationship Words" package that includes the book, the audios and terrific bonuses is not available in stores anywhere. The only place you can get it is here on our web site. Because this is a downloadable package, you can be reading the information and listening to the audios within minutes. Click the "add to cart" button below to download the "Magic Relationship Words" book and audio program now... and you'll be on your way to creating instant breakthroughs in your communication, not only with your partner or spouse-- but the other people in your life as well. P.S. Remember, this "Magic Relationship Words" package is not available in stores anywhere. It's only available as a downloadable package here on our web site. Don't put it off. Order now and you'll be taking that all important first step towards knowing exactly what to say and how to say it every time when communicating with your partner, spouse or lover so you can start getting more of the love you really want right now.